Another new day in our Carpe Diem (CD) daily haiku meme. I was very productive yesterday, but today I will only publish the post for our new prompt. 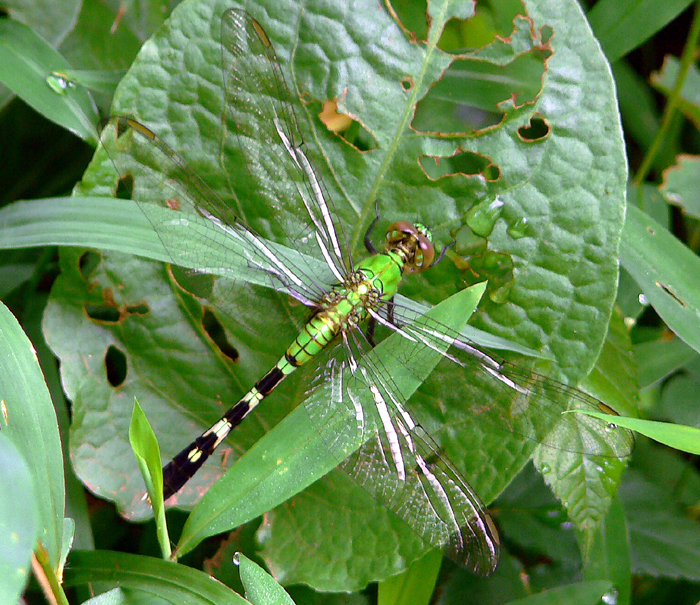 Today we share haiku on Tonbo (Dragonfly) and it brought a nice memory back in mind. Several years ago we had a mobile home on a camp-place somewhere in my country. It was an inheritance of the grandma of my wife and we went there every weekend and every holiday. Our kids loved to be there and they were the whole day outside playing with their friends. Only for eating and drinking (and of course sleeping) they back to our mobile home. We had a place for the whole season and I had made a wonderful garden around it, with a pond in which we had Koi Carps. In spring the garden looked like a rainbow because of all the colorful tulips, narcissus, violets, daisies and so on. And to break that colorful sight I had planted a few little trees e.g. a pine-tree. One summer evening, it had been a warm summer day we had all the windows and doors of our mobile home open to cool the inside of it. As we were drinking coffee my wife shouted anxious. I looked in the direction she pointed and there I saw a big dragonfly certainly 8 to 10 cm big and the wings also. It was a black one and it had lime-colored stripes around it's body. Such a great dragonfly I had never seen in my live. Finally it flew outside and landed on one of the waterlillies in our pond. It was a wonderful experience, but also a bit anxious. It's a wonderful creature, sometimes scary, but always beautiful to see. A nice late-autumn kigo, because with this episode we are entering the kigo for late-autumn. I like it, this is however not a strong haiku, but I like the scenery it paints. 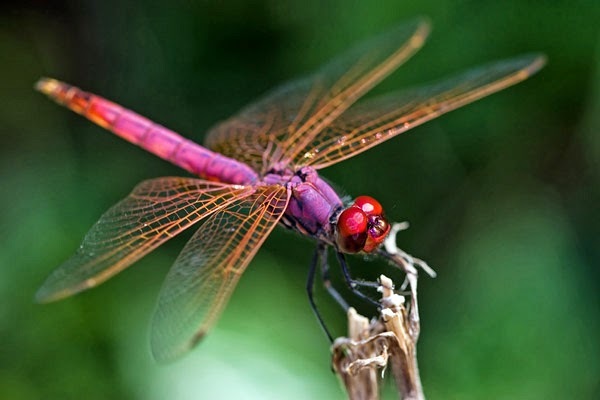 So I am looking forward to your haiku on Dragonfly ... have fun, be inspired and share your haiku with us. This prompt will stay on till September 23th 11.59 AM (CET) and I will post our next episode, Yanagi chiru (Willow leaves fall), later on today around 7.00 PM (CET). !! Dragonfly is open for your submissions at 7.00 PM (CET) !! What do you mean when you say your haiku isn't strong? I think your dragonfly haiku is stronger (better) than than those by the masters. Issa's is especially weak. I think that is a peaceful, nice haiku of yours to read Kristjaan! I would be interested to know what criteria you evaluate your haiku with! The reason for this is twice I;ve seen really good haiku from you - though you stated they were not too good! What can I say ... I am a kind of perfectionist. I think that my haiku are all great, but I can't recall that I ever have written a perfect haiku ... so 'till I have written the perfect haiku ... I will always say that my haiku wasn't good enough. Kristjaan, thank you for your positive comment on the haiku I left in the comment field as an answer to Victoria. I did enter it as a second entry. Strange that just before I came to read the prompt, I was at a jeweler's and discussed the possibility of making a dragonfly ring for me. Sadly, a no-go. Still, the prompt pleased me very much, even if I am too late for sharing my link.